With the inaugural NHL season that started less than a week ago, millions of rabid-foaming-from-the-mouth hockey fans are gearing up for yet another exciting season. With the start of the hockey season that means getting together with friends and coworkers to select players for neverending hockey pools. 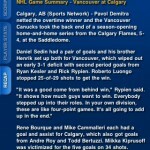 If you have an iPhone, tracking your points will be a breeze with The Score Television Network’s iPhone app, ScoreMobile. This app made its debut in the App Store long ago in mid-July. 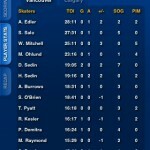 At the time there wasn’t much to follow but now that the NHL has started and the NBA soon to follow, I thought it would be handy to review this app. Currently you easily track your favorite NBA, MLB, NFL, CFL and NCAAF teams along the bottom. 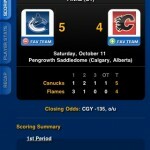 The Score recently announced on October 6th that the app will soon be updated to include a NHL tab along the bottom (plus other sports too). 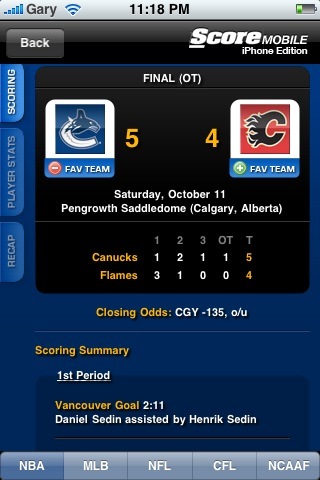 In the meantime, there is a link on the app’s main page that will load NHL scores and stats. 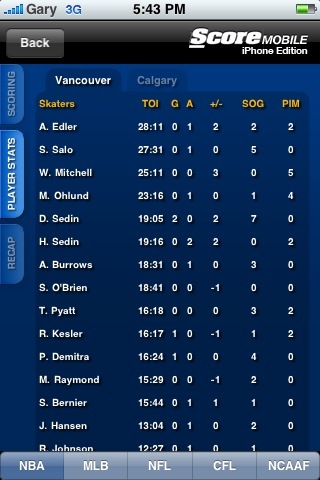 There are a few other ways to track sports on your iPhone, but I have favoured The Score’s simple layout and quick accessible stats. 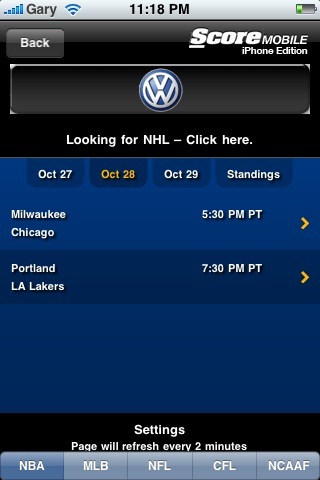 With updates every 2 minutes, how can any sports fan not like this thing?! For example, the following gallery shows the results of the Canucks versus Flames game the other night (what an OT come from behind win–sorry Flames fans!). The NHL overview is well laid out and once you click on a game, you will have instant access to the box score, recap, and scoring summary. What I love about this app is the loading speed of the pages involved. Since you’re not loading a web page information is quick to your fingertips. 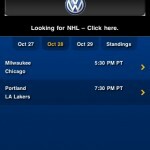 The ScoreMobile app will come in handy when you’re not near a television for your sports fix. Whether you’re at work, trying to study, or having dinner with the in-laws, fear not folks because you’ll soon have every sports score at your fingertips! 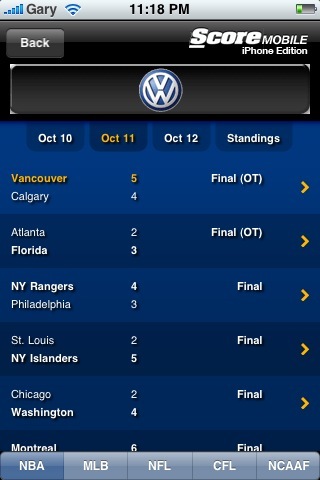 The ScoreMobile App is free and can be downloaded in the App Store. For those using this app (and still awake from stuffing your face full of turkey on the weekend) do you love it as much as I do? 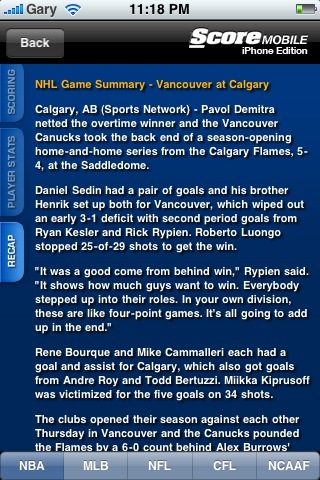 What other ways do you track sports on the iPhone?